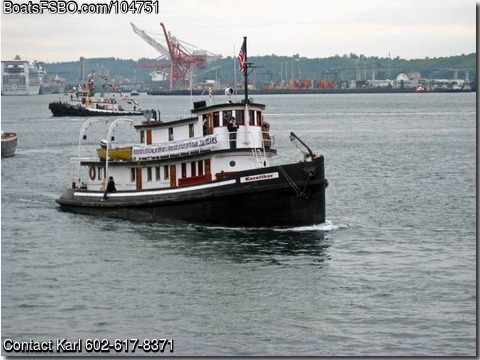 1907 93' Wallace wood tugboat project. Caterpillar V8 overhauled and rebuilt. Superlative Hatton Marine engine work and extensive exquisite woodwork crafted by Bakketune & Thomas boat yard. $$$$$$ of receipts for engine overhaul and woodwork and plans.